The full course is 48 minutes long and available in a number of affordable formats. 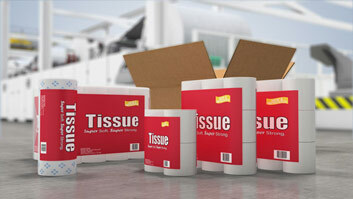 In the wet-laid process, staple fibers are blended with water and additives and the blend is discharged onto a porous belt. 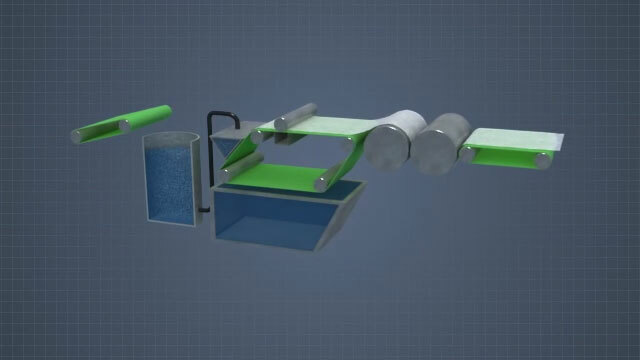 The water goes through the belt and is reused, the fibers create a sheet which is dried and further treated. 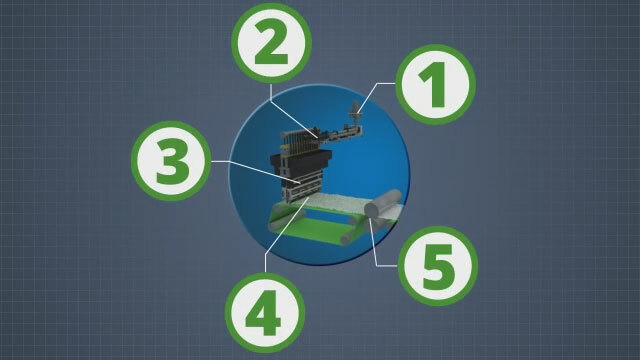 The spunmelt process has five basic steps, 1) thermoplastic polymer pellets are melted, 2) the melt is extruded through a die, 3) fibers are stretched and cooled, and then 4) deposited across a porous moving surface. 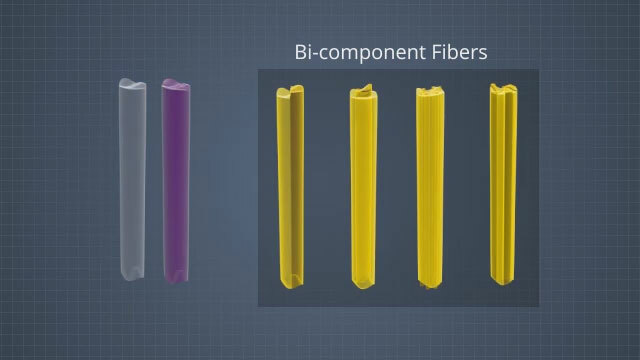 Bi-component fibers are created when two different types of polymer are co-extruded at the die to create a single fiber. 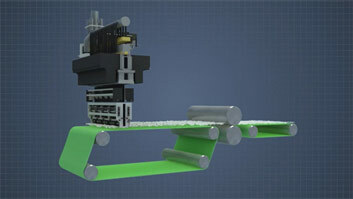 Different physical configurations of the two components affect the fiber's final properties. Nonwoven fabrics are broadly defined as sheet or web structures bonded together by mechanical entanglement, chemical, thermal, or other means. Unlike traditional fabrics, the fibers are not first converted to yarn and then woven or knitted into a fabric. Instead, a porous sheet or web is made directly from separate fibers. 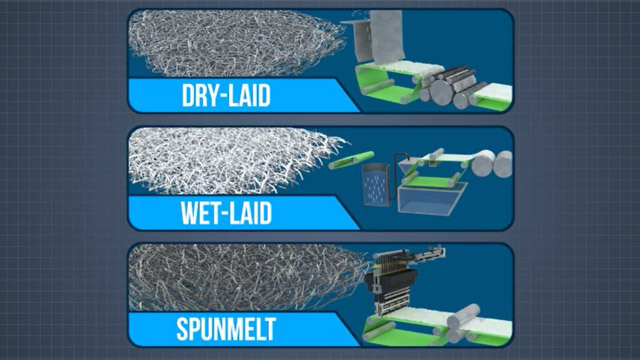 The process of manufacturing nonwovens is made up of two basic steps; 1) web forming, where loose fibers are laid out on a moving porous belt or drum to create a uniform sheet, and, 2) web bonding, where an adhesive or entanglement process is applied to bond the laid out fibers together to create a stable web, or sheet, of material. 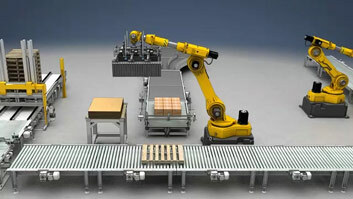 This module covers some of the different web forming processes. What are the three broad classes of forming use to create nonwoven materials? Nonwoven webs can be formed using air-laid, wet-laid and spunmelt processes. What are some of the benefits of wet-laid forming? Wet-laid forming produces an isotropic web structure, offers the ability to easily blend performance enhancing additives into the fiber blend, and has higher production rates than dry-laid processes. What are the basic steps in spunmelt web forming? To create a spunmelt web, thermoplastic polymer pellets are melted, extruded through a die, stretched and cooled, and then deposited across a porous moving surface. What is the difference between spunbond and meltblown products? Spunbound and meltblown fibers are treated in a different manner as they exit the die. 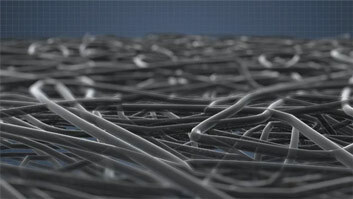 The result is that meltblown fibers are much smaller in diameter than the typical spunbound product. Bicomponent fibers are fibers which are extruder with two different types of polymer within a single fiber. The components do not mix with each other, but by changing the physical relationship of the two components within the fiber, and by changing the composition of the components, the properties of the final fiber can be altered. Nonwoven web formation is accomplished using one of three general methods. One, dry-laid. In this process, raw fibers are mechanically aligned, and then laid out. 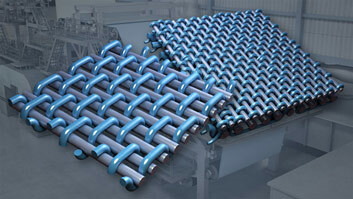 Or they are dispersed into an air stream and collected on a belt to create a sheet. When air is used, the process is referred to as air-laid. Two, wet-laid. A suspension of raw fibers in water is deposited on a porous belt to create a sheet. Three, spun-melt. In this process, polymer is melted and extruded to create filaments, which are then directly laid onto a belt to create a sheet. The two most common variants of this method are spun-bonding and melt-blowing.